Your ice maker operates on a strict schedule. Once you flip down the control arm to turn on the ice making cycle, it starts preparing to freeze the ice. The cycling thermostat tells your ice maker when it’s cold enough to start the first steps. But if that thermostat is shorted out or broken, your ice maker will never get the signal to start working and it won’t be able to make any ice. The cycling thermostat is a part that you can replace on your own. If you have a Whirlpool refrigerator, order replacement part #WP627985 and follow these steps. All you need is the part, a screwdriver, and alumilastic, a sealant compound that helps the thermostat accurately gauge the freezer’s temperature. Whenever you are making repairs to a refrigerator or other major appliance, the first step should always be to unplug the machine. 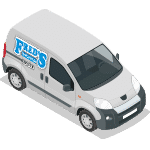 During the course of this repair, you will be disconnecting wire harnesses and removing the ice maker assembly from the refrigerator. Disconnecting the power source is essential for your own safety and the safety of the surrounding area. 2. Remove the ice maker. Open the freezer section of your refrigerator. First, remove the door to your ice maker so you can access the large parts. Next, take out the shelf on top of the ice maker assembly. It may slide freely out, or you might need to pull it up and back to snap it free from the front retaining arms. 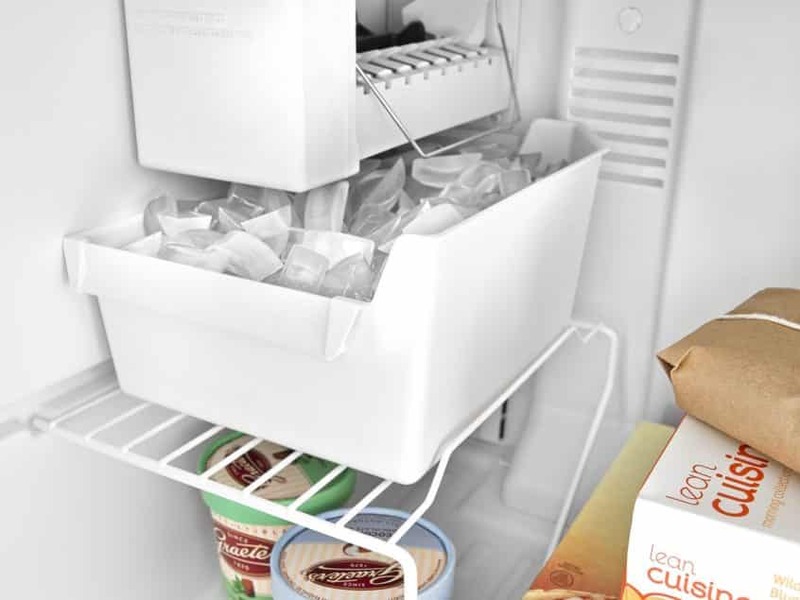 Once the shelf is set aside, pull out the ice bin and also set it aside. Now you can uninstall the ice maker itself. Remove the bottom mounting screw holding the ice maker against the refrigerator wall. The top two mounting screws don’t directly hold the ice maker; instead, the assembly has two hooks over the screws. So loosen the screws just enough that you can lift the ice maker up and away from the wall. Before you completely remove the ice maker, disconnect the wire harness in the rear. Shut the freezer. The rest of the repair procedure involves only the ice maker. 3. Dismantle the ice maker to reach the cycling thermostat. The thermostat is in the middle of the ice maker assembly, and you need to remove both the module and the black housing to reach it. First, wiggle the square cap free and set it aside. Then press the locking tab holding the wire harness in place; set the wires aside without completely removing them from the assembly. Next, remove the control arm (the wire arm you press up and down to turn the ice maker off and on) by pulling each side out of the slots. Next, remove the three screws holding the head in place. Pull the head out and set it aside. Remove the two screws securing the housing to the rest of the ice maker. Two heating pins are also threaded through the housing, so carefully wiggle the housing free without bending or snapping the pins. The cycling thermostat is on the back side of the housing between the two holes for the heating pins. Press down on the pins of the thermostat to push it out of the housing. 4. Replace the thermostat and retaining clips. Before you install the new thermostat, remove the old retainer clips and replace them with the clips that came with the new part. These clips help wedge the cycling thermostat into place so it stays firmly in contact with the ice maker and doesn’t shift. It needs that direct contact to read the temperature. Once the retaining clips are in place, push the new thermostat into the housing so the pins reach through the other side. Add a thick smear of alumilastic to the flat top side of the thermostat. This compound conducts heat and helps the thermostat gauge the temperature of the ice maker. Make sure the surface has a thick coating; it doesn’t have to be completely covered, especially because the material will spread once it’s compressed against the side of the ice maker. 5. Reassemble the ice maker. Slide the housing back into place by threading the heating pins through it. Be careful not to touch or smear the alumilastic. Once the housing is firmly in place, inspect it for any excess compound and wipe it away. Then resecure the housing with the two Phillips screws; make sure it’s tight enough to ensure surface contact between the thermostat and the ice maker. Next, reinstall the control module. You will need to thread the D-shaped shaft through the module, so spin the ‘teeth’ of the ice maker’s water compartment so you can line up the shaft with the module’s hole. Thread the module into position and then resecure it with the mounting screws. Then put the control arm back in place by slipping each end into the slots. Also plug the wire harness back in and click the cap into place. 6. Reinstall the ice marker. Start by connecting the wire harness in the back of the ice maker. Then feed the refrigerator’s nozzle into the ice maker’s side cup and push the ice maker a few inches back while also holding it flush against the refrigerator wall. Hook the ice maker over the two mounting screws and let it hang freely as you retighten the two screws. Next, put the bottom mounting screw back in place. The ice maker itself is fully back in place. Now you can slide the bin back under the ice maker. Slide the top shelf over the small mounting arms and on the rear mounting pegs, and then snap it onto the front arms. Turn on the ice maker by pushing the control arm down before putting the door back over the bin. Then plug in the refrigerator and wait for the freezer to cool down enough to start the next ice-making cycle. 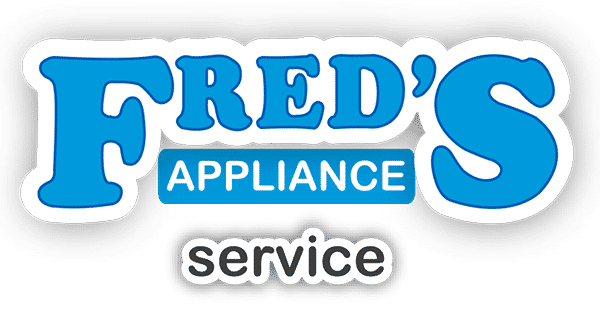 If you have more appliance repairs on your to-do list, search our repair guides at Fred’s Appliance Service here. We can help you make your own repairs or send a technician to your house for tricky part replacements.